Mangaluru, Mar 07, 2015: Police arrested two persons on the charge of cricket betting during India - West Indies match on March 6. The arrested identified are Sandesh Shetty and Prakash, in their late 20s and said to be residing in Bejai in the city. DCP Santhosh Babu told media, Sandesh and Prakash were operating from their house near Bejai. 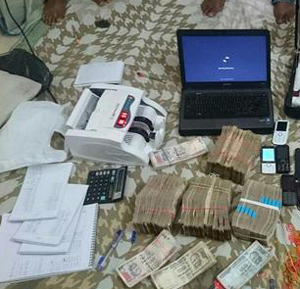 Mangaluru East police team found Rs 52,000, four mobile phones and a laptop, which were being used for cricket betting during the raid. according to police. Cases under relavant Section will be registered and accused will face action.